In January 2017 we will be reading The Aesthetics of Affect by Simon O’Sullivan (2001). This discussion will be chaired by Katie Tysoe. DOWNLOAD: O’Sullivan, Simon (2001). The Aesthetics of Affect: Thinking Art Beyond Representation. Angelaki, Journal of the Theoretical Humanities, Vol. 6, No. 3, pp. 125-135. 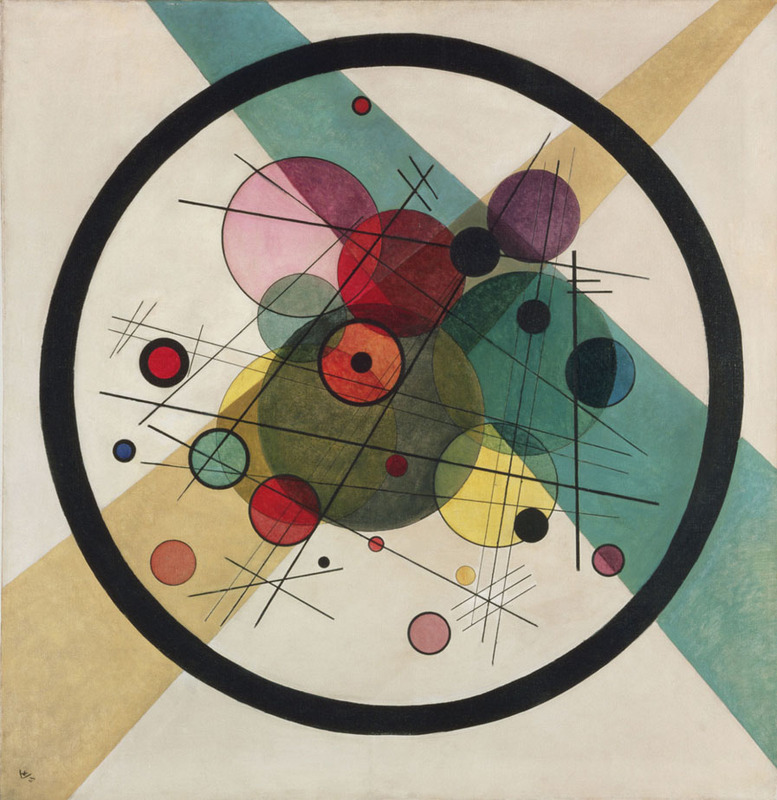 Wassily Kandinsky  Circles in a Circle. Oil on canvas, 98.7 x 96.6 cm. Simon O’Sullivan is a theorist working at the intersection of contemporary art practice, performance and continental philosophy. The text is one of his first discussions that addresses artistic practice within an emerging and growing field of affect theory – that is an interdisciplinary investigation into what makes up experience and subjectivity. 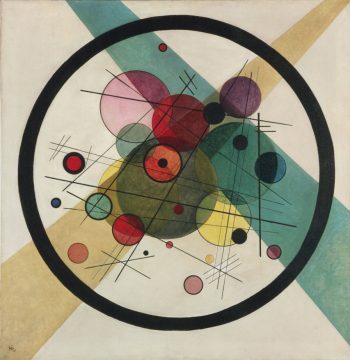 He reignited the debate between materialism and idealism within philosophy, otherwise seen as the debate between matter and mind, and applied this critical debate to the realm of aesthetics. O’Sullivan addresses a philosophically materialist thinking of our connection to the world by way of critiquing representation and art historical narratives. For him, aesthetics holds certain value for how we experience art. By reassigning a function and value to art through affect, it can become a portal to the sensational and perceptive, which, for O’Sullivan acts as an ethical imperative for both our experience with art and the world in which we encounter it. My own interest in the text stems from an fascination with the sonic arts and situating sonic practice within a wider artistic field. Recent texts (Seth Kim-Cohen, Barrett) have tried to theorise sound as beyond materiality within the arts in order to reinstall a conceptual theorisation of our experience as representational. This basis is formed through linguistic and textual narratives with an orientation of ideas over matter. However, as I would like to discuss, how can we explore art and thus our experience of it in a way that reimagines how we are being in the world? How is sound particularly effective at enabling this access?